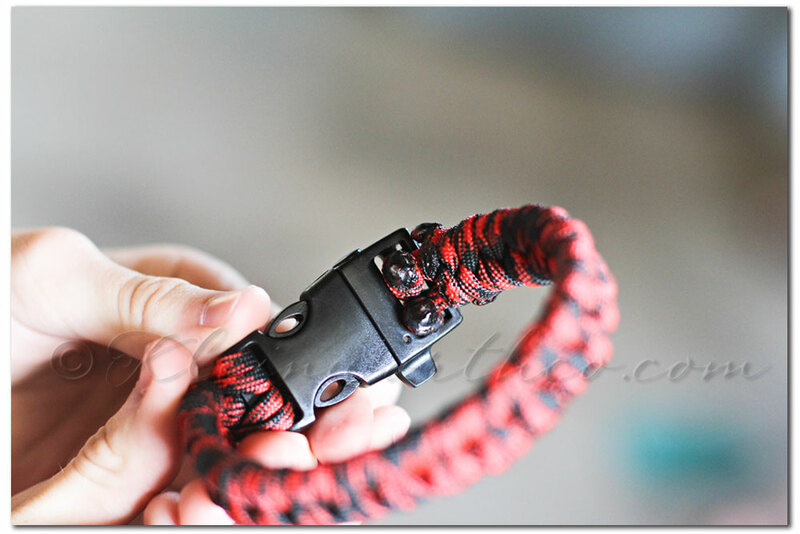 *Note- this is not for attaching your leash. 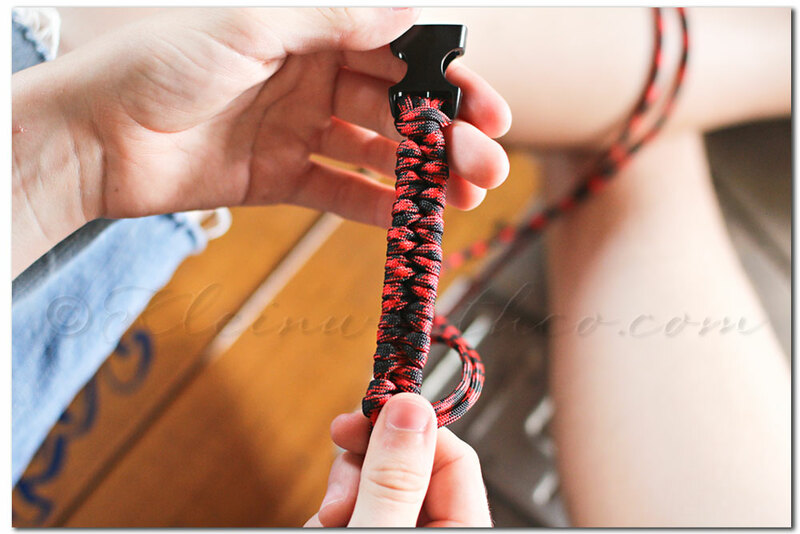 I use this for a nice collar to attach my dog’s tags to. I use a noose style leash when walking him. I can’t be 100% sure that the plastic clasps or the D-Ring would be strong enough to hold him in the event I had to control him on a walk. Granted he’s 105 pounds of boxer- but still. I don’t want to be responsible for someone’s dog getting loose. 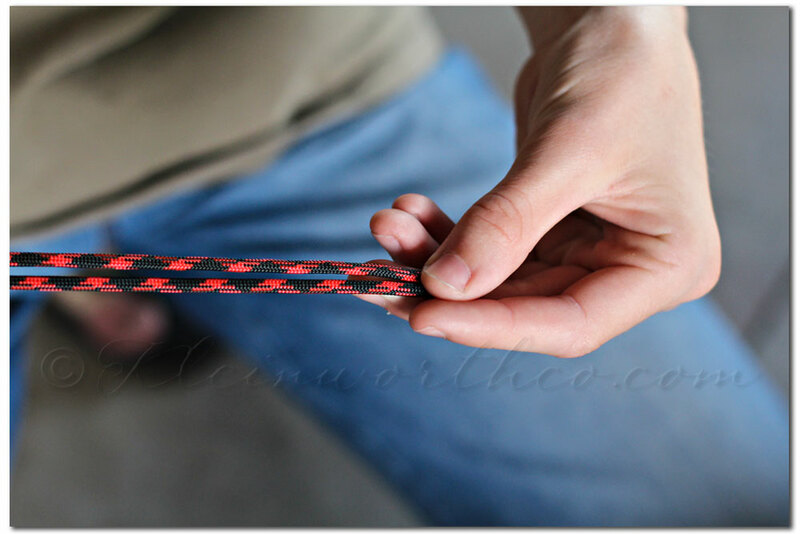 So I have to let you know- the paracord weave is super strong- the store bought clasps & d-ring I can’t be 100% sure of in the event a large dog would be pulling on them. So I am going to walk you through the steps here. 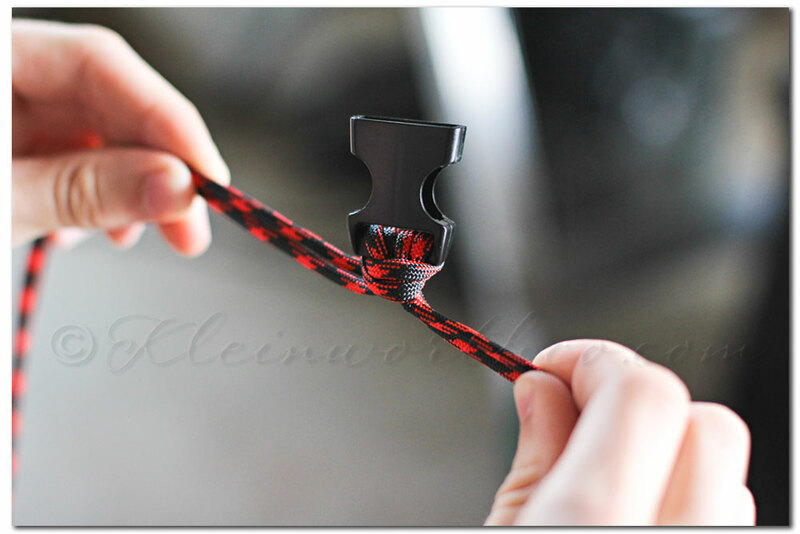 This particular weave is very simple & it should go quickly. *Measure your dog’s neck circumference. *Take that measurement & multiply it by 5. 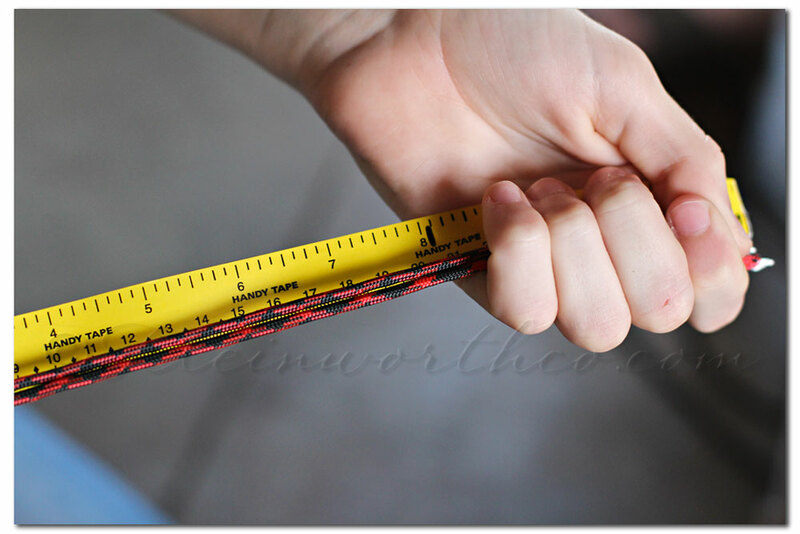 *Take that final calculation & cut 2 strands of paracord to that length. 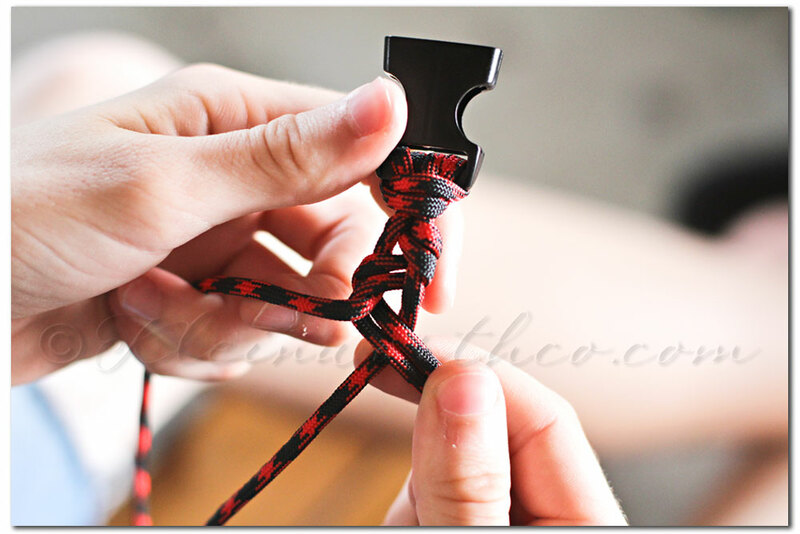 *Take both strands of paracord & fold over at the original length of the dog’s neck measurement & push the loops through your plastic clasp. 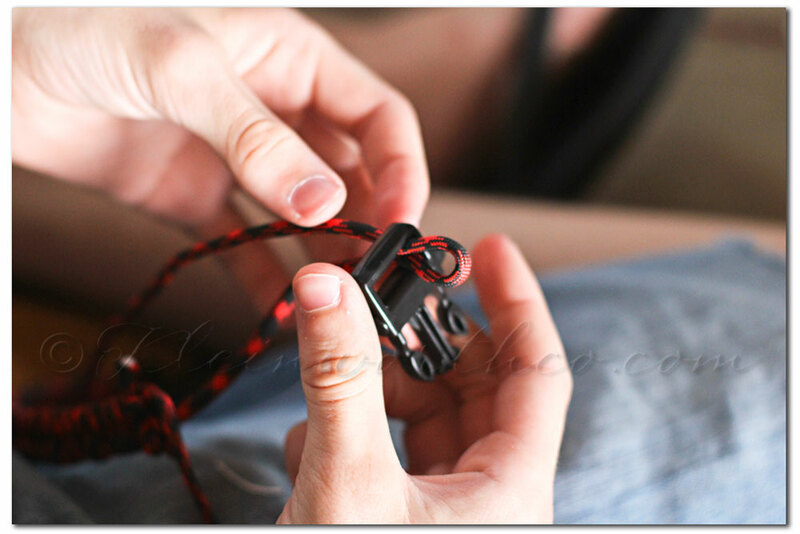 *Push the ends of your cord through the loop & pull tight so that the clasp is now secure. *Separate the short sides & the long sides. 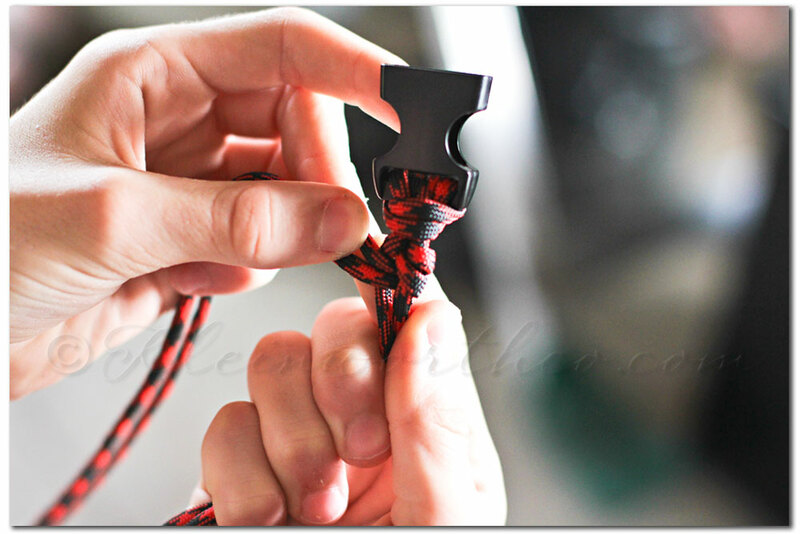 *Take the long 2 strands & weave both around one short strand & then back over to wrap around the other short strand. 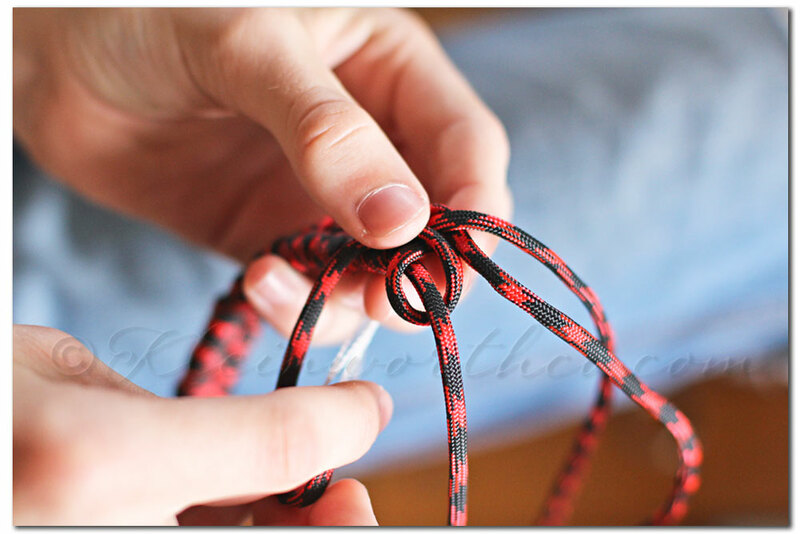 *Continue on repeating this process & remember to pull tightly to keep the cord firm. You do not want any looping to show or for it to be loose. 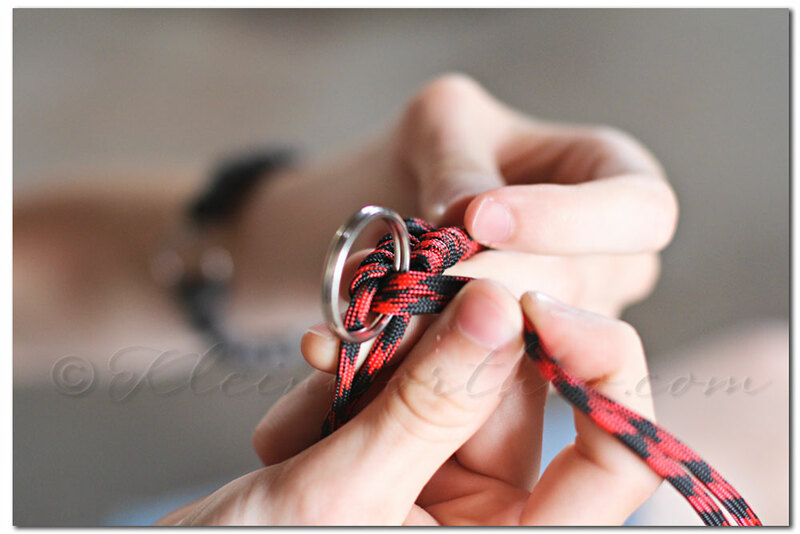 *If you choose- at the half way point slide on a D-Ring or metal loop for the dog tags- sliding on the longs strands & then continue weaving as before. 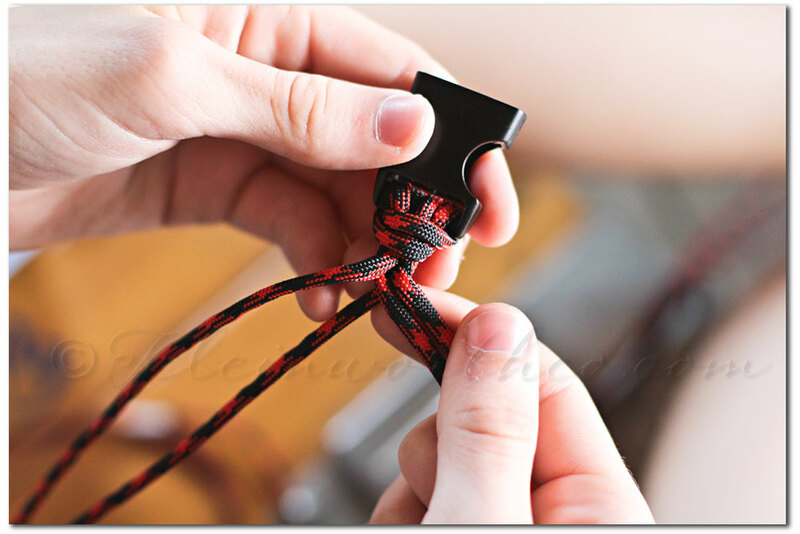 *As you get to get close to the end- stop with at least 3 inches left on your short cords. 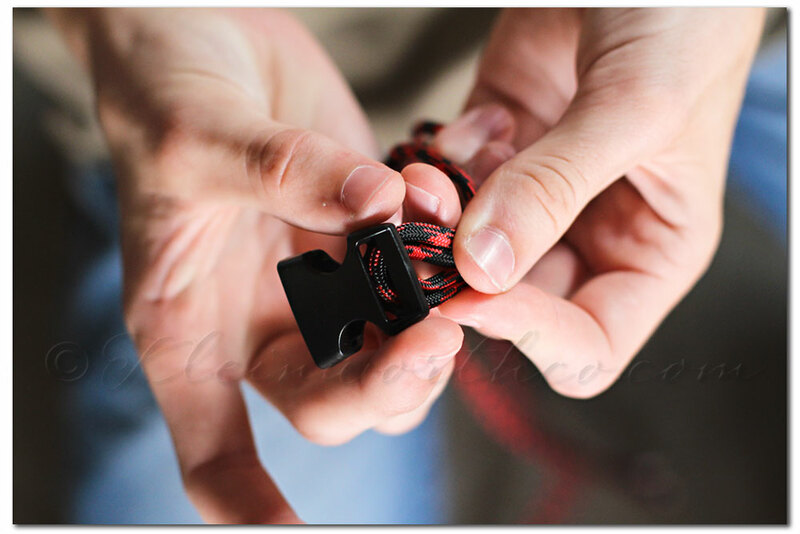 *Take one long cord & loop around one of the short cords & knot tightly. Do the same for the other side. 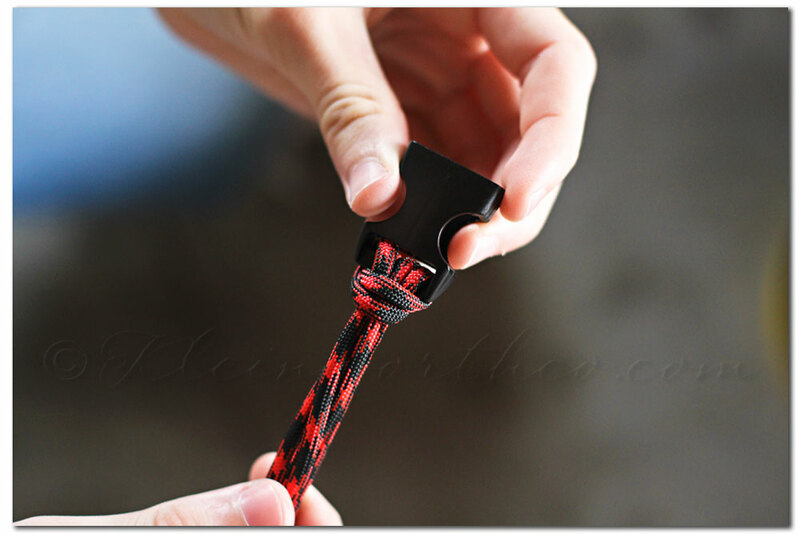 *Cut off the longer cords – burn with lighter to melt & secure those ends. 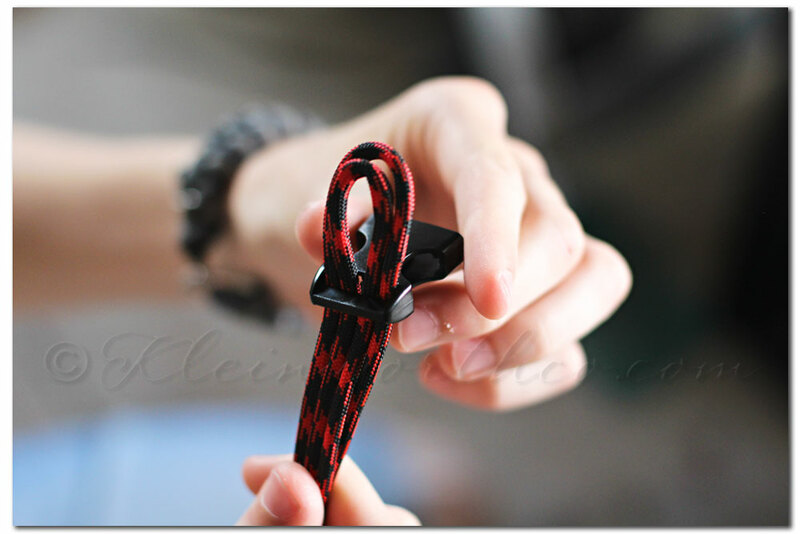 *Slide remaining shorts strands through your other clasp piece. *Cut & burn those final strands & you are finished. Here is my dog sporting his collar. He loves it. 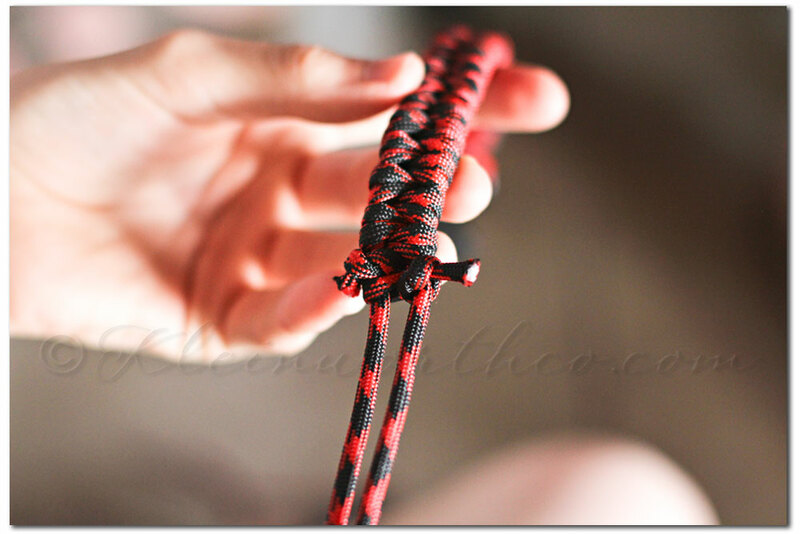 We also made a matching bracelet for the hubs with the same method. Very nice! No dog anymore, but I like it! Ok, you make it look so easy!!! Love the step by step pictures. 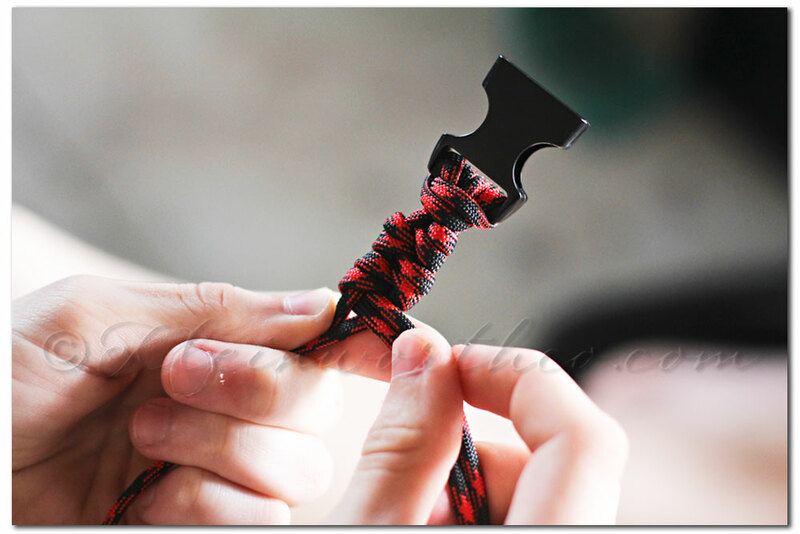 Even though it looks easy I don’t know that my craft clumsy hands can handle it, so just send one in the mail. hehe.. 🙂 Thanks for sharing at Show Stopper Saturdays! 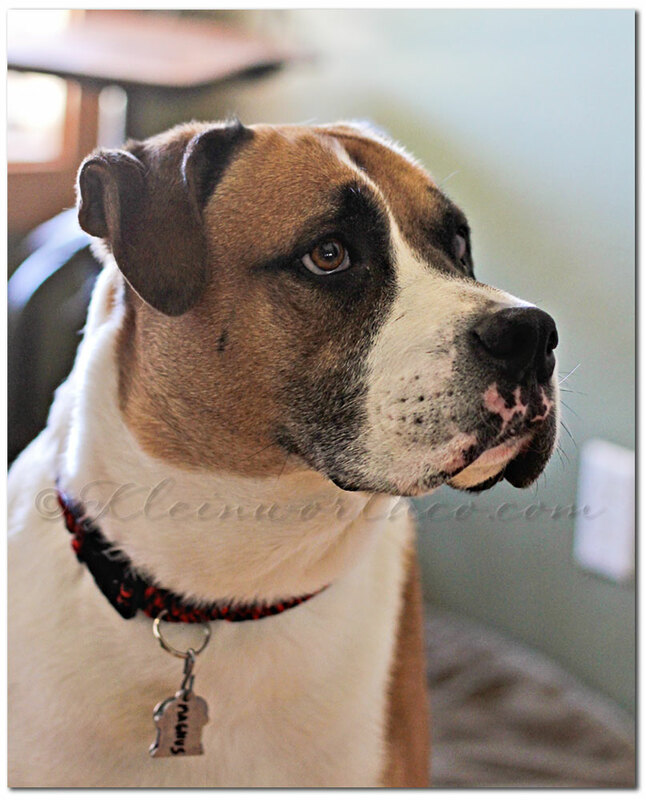 I really stopped by to see your beautiful boxer, but it looks like a great DIY collar. 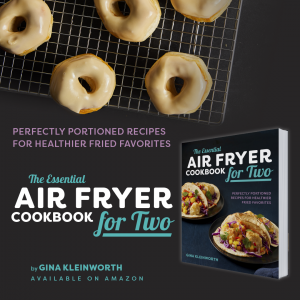 That is so cool Gina! I might just have to make one for my 25lb dog 😉 Your boxer is gorgeous by the way! You definitely should Lisa- it would be so cute. Very cool! A custom fit! Absolutely- I have to give all the credit to my son. 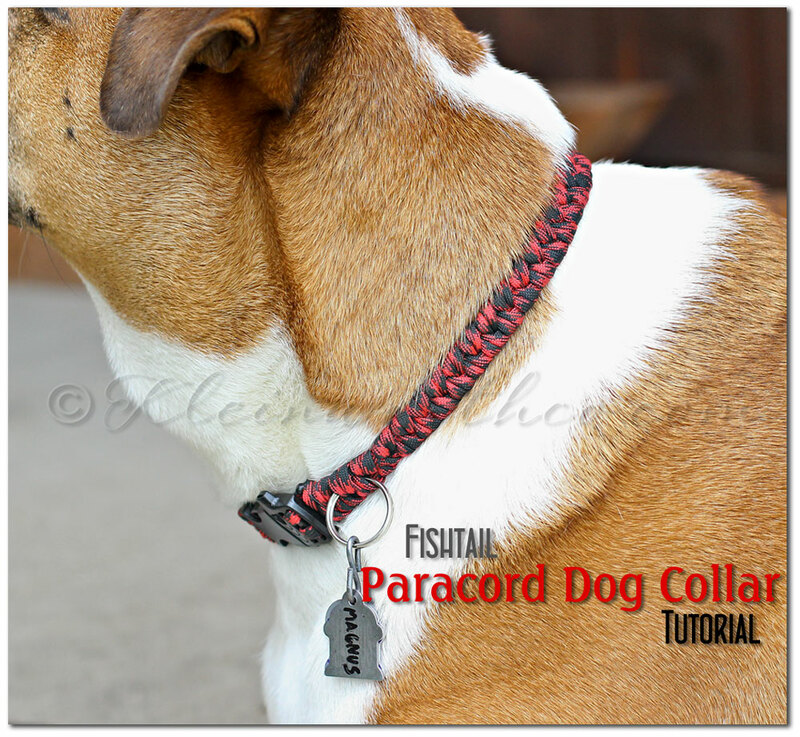 I told him I wanted him to make the dog a collar & he came up with the design & figured it all out. Amazing how the 15 year old mind works. Gina ~ this is so cool! 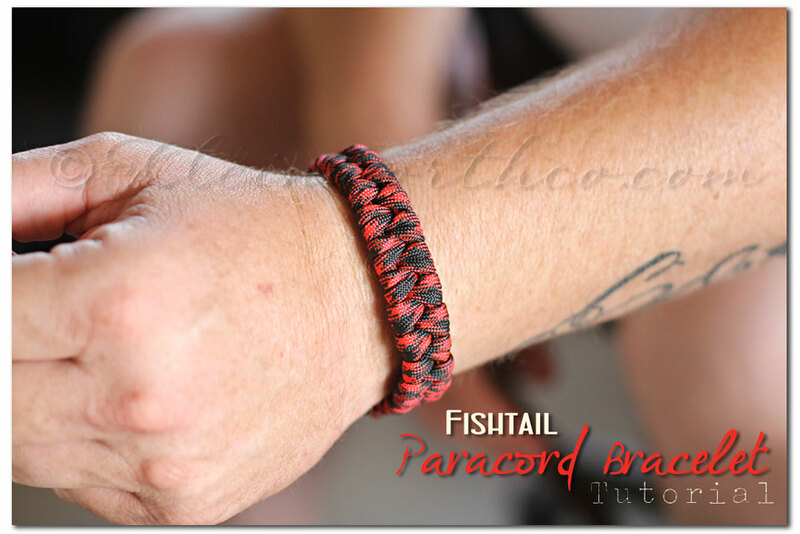 My little guy and I made a regular paracord bracelet a few weeks ago but he’s sitting with me right now and saw yours so now it looks like we have another project! Thanks for sharing ~ pinning! Than you Mary Beth- it’s so fun isn’t it?! Once you make one the creativity just starts flowing & so many ideas come out of it.